This beautiful gold Saxophone miniature ornament makes a wonderful holiday decoration for the Christmas tree, gift wrap or room decoration. A gift that would be appreciate by the Sax player in your family or among friends. 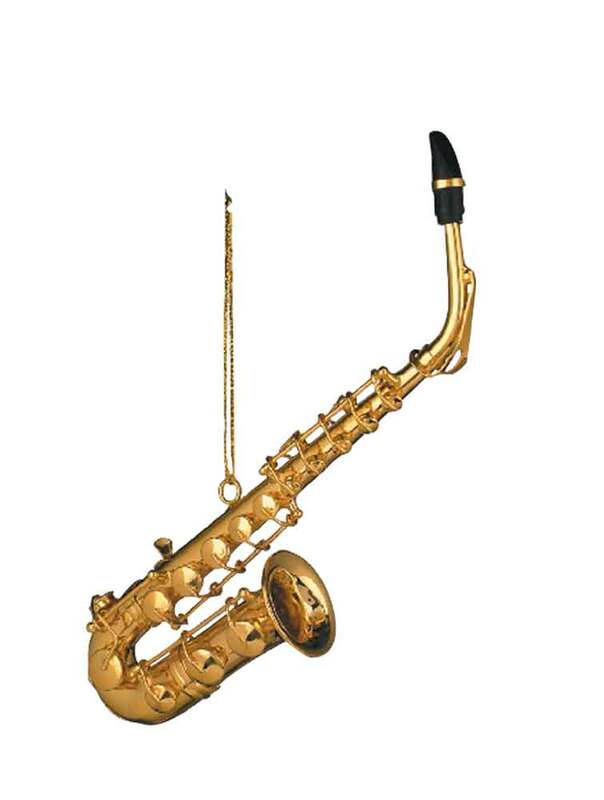 This ornament includes such fine details that you would find on a full size Saxophone which include the mouthpiece, neck/gooseneck, octive keys, rod and bell. Brass Constuction, Gold Lacquer Plated ornament.